 Save money and add efficiency to your company with the parking lot sweeping and janitorial services in Metairie, LA, provided by OJ's Janitorial & Sweeping Service, LLC. Let our team of janitorial experts give your facility a complete and thorough cleaning. We offer daily, weekly, biweekly, monthly, and quarterly parking lot cleaning services. Our staff uses a commercial grade sweeper truck that sweeps debris and trash from every corner. OJ's Janitorial & Sweeping Service, LLC only uses well-maintained equipment for all of our services. Parking lot cleaning time depends on the size of the area. We charge by the hour and the size of the parking lot. Provide additional safety and better working conditions for your facility with our janitorial services. Our company offers daily, weekly, biweekly, monthly, and quarterly general cleaning for your business. Request our services and improve your company's exterior appearance with our parking lot cleaning services.